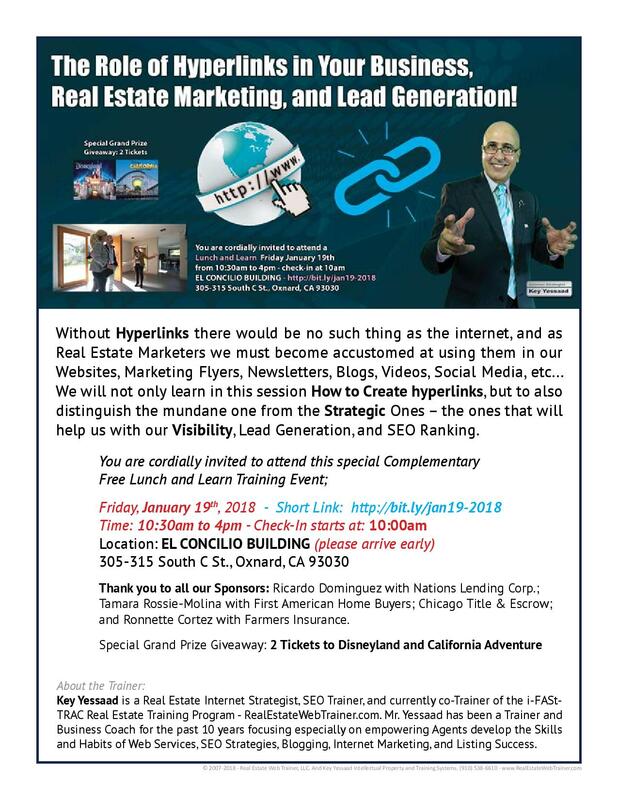 Presenting for the First Time Ever in Ventura County, California Special Guest Key Yessaad, Nationally renown Real Estate Internet Strategist and Business Coach. Please Join Us for a Special Training Workshop: January 19th, 2018 from 10am - 4pm Lunch will be served 12-1pm. EL CONCILIO BUILDING 305-315 South C St., Oxnard, CA 93030. Hit The Ground Running in 2018 and Join us for A Day of Insight and Real Estate Business Development Training. We are excited to share with all of our Real Estate colleagues in our community the opportunity of meeting and training with the person responsible for the growth of many Brokers and Agents throughout the country. Everyone is welcomed! 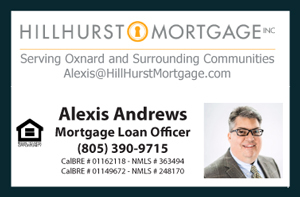 Thank you to all our Sponsors: Ricardo Dominguez with Nations Lending Corp.; Tamara Rossie-Molina with First American Home Buyers; Chicago Title & Escrow; and Ronnette Cortez with Farmers Insurance. About the Trainer: Key Yessaad is a Real Estate Internet Strategist, SEO Trainer, and currently co-Trainer of the i-FAStTRAC Real Estate Training Program - RealEstateWebTrainer.com. Mr. Yessaad has been a Trainer and Business Coach for the past 10 years focusing especially on empowering Agents develop the Skills and Habits of Web Services, SEO Strategies, Blogging, Internet Marketing, and Listing Success.